James Edmund Caan (born Mairch 26, 1940) is an American actor. ↑ Mirbagheri, Ben. "Gilded Estates: James Caan Home". Gilded Estates. Variety. Retrieved 18 February 2015. 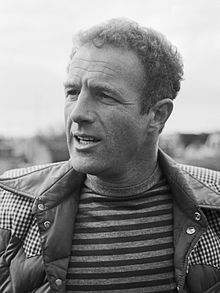 ↑ "James Caan". TV Guide. Retrieved June 12, 2013. This page wis last eeditit on 15 Mey 2018, at 01:33.